I love this dress! Always nice when something you wear has such an interesting story. that dress is stunning and i love the collar layered under it! 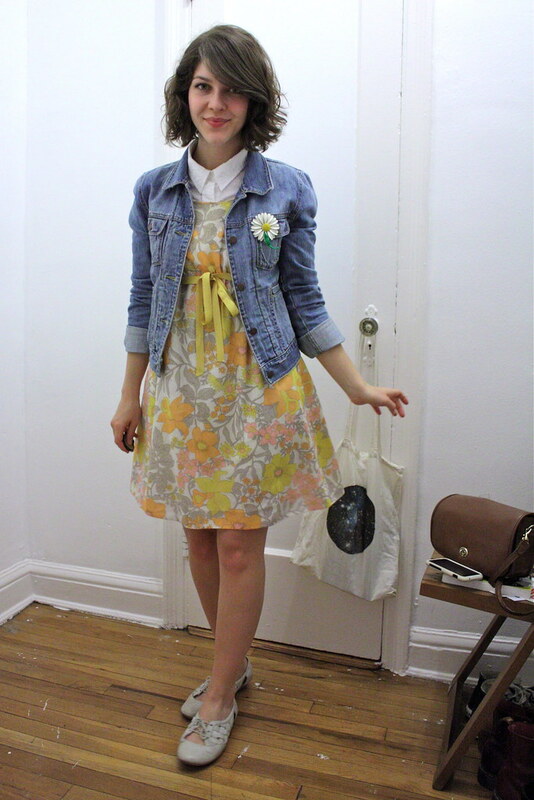 This outfit is so positively adorable! I love it! You look like a young girl. Plus, I think the story behind the dress is amazing. It's so awesome when a piece means so much to you. 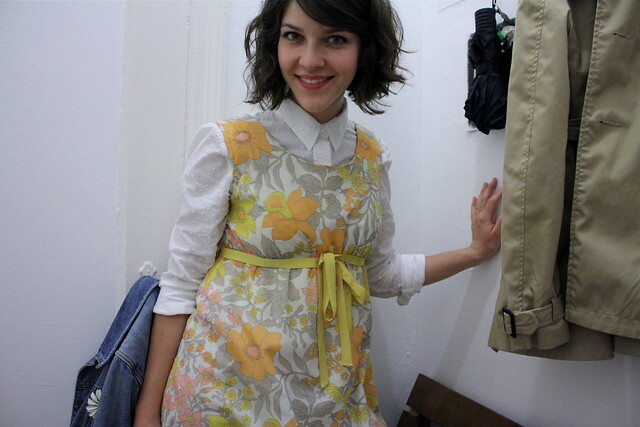 Definitely a Brady Bunch dress! Super cute! Definitely an appropriate cultural reference. Very pretty dress. And, on you, it acquires even more appeal. 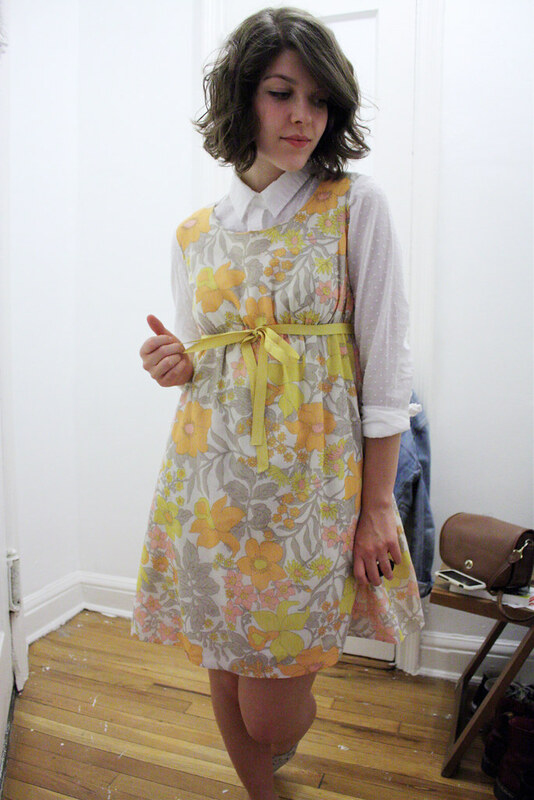 That vintage dress is so so cute! And I love the story of how you came to own it. The print is definitely adorable and I really like the blouse you layered underneath it.